USNS Comfort (T-AH-20) has finished another deployment to the Western Hemisphere as part of the Enduring Promise initiative. 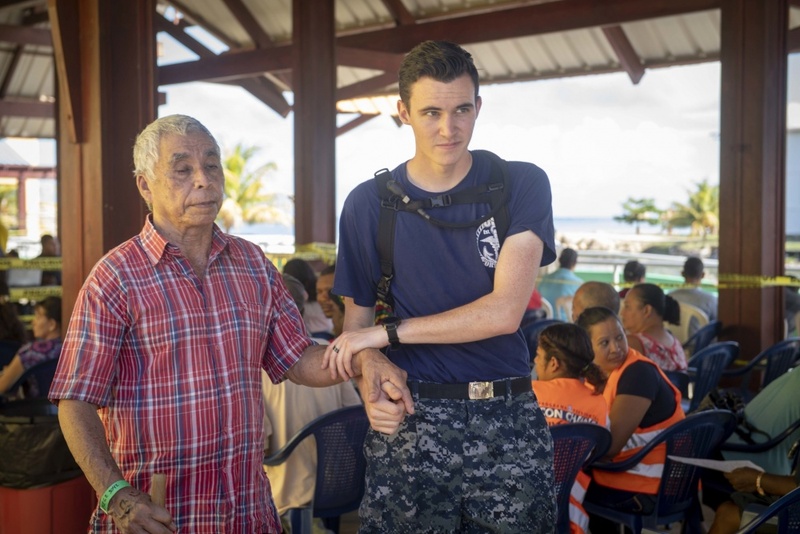 The U.S. hospital ship’s latest tour took it to Colombia, Ecuador, Honduras, and Peru where it provided free medical assistance to thousands of individuals in need. This is an example of medical diplomacy at work and a great initiative to improve U.S.-Latin American relations at a time when more cohesion among governments in the Western Hemisphere is needed. Comfort is a large vessel, with a length of 894 feet and a beam of 105 feet, the same as its sister ship, USNS Mercy (T-AH-19) – the two are converted San Clemente-class super tankers. According to the U.S. Navy, each platform “contain[s] 12 fully-equipped operating rooms, a 1,000 bed hospital facility, digital radiological services, a medical laboratory, a pharmacy, an optometry lab, a CAT-scan and two oxygen producing plants,” along with helicopter decks. Hence, the vessel is able to provide for vast numbers of patients simultaneously with different services. The vessel’s most recent tour, the sixth time that it has been deployed to the region, lasted 11 weeks. Comfort then traveled to Paita, in northern Peru, where it treated over 5,000 patients, according to the Peruvian government. The U.S. hospital ship also donated wheelchairs and medical supplies. The Peruvian government noted that this is the third time that Comfort has visited Peru, in 2011 it provided medical assistance to 7,352 patients, and in 2007, it aided 9,223 Peruvian citizens. The vessel’s stops in Colombia and Honduras had similarly positive results. In Colombia, the U.S. hospital ship docked in Turbo (Antioquia) and then Riohacha (La Guajira), with the local government estimating that some 7,400 patients were treated by Comfort’s medical staff. As a final point, it is worth noting that the citizens of these nations were not the only ones to receive treatment aboard Comfort. Case in point, while in Colombia medical personnel also helped Venezuelan migrants who have settled in Riohacha as they flee the political and socio-economic crisis in their homeland. Enduring Promise is an example of a medical diplomacy initiative that helps promote a positive image of the U.S. In this case, the people that were helped by Comfort, along with their families and other loved ones, will likely now have a more positive view of the U.S. and its military due to the free and professional medical services they received. An indigenous person from the Wayuu ethnic community in Colombia described Comfort’s visit as a “blessing from God” as it helped vulnerable communities, peasants, and Venezuelan migrants, according to Colombia’s daily El Nacional. Even more, governments also get a load taken off their shoulders, as Comfort provided services that local medical services could not offer, or were too financially costly for families to afford. For the U.S. and its partners, this was a win-win situation. One important fact to mention is that Comfort visited Ecuador. A few years ago, when former President Rafael Correa was in power, this trip would have been unthinkable, as the former South American leader was known for his anti-U.S. sentiments. He famously expelled the U.S. military from its base in Manta, in 2009, and he was a close ally of the late-Venezuelan leader Hugo Chavez. Nevertheless, President Lenin Moreno has carried out a complete turnaround to Ecuador’s foreign policy by rapproaching the U.S. In recent months, the Ecuadorian Esmeraldas-class corvette BAE Los Ríos (CM 13) participated in the U.S.-sponsored UNITAS multinational exercise in Colombia, personnel from the U.S. Naval Small Craft Instruction and Technical Training School visited the South American country, and Defense Minister Oswaldo Jarrin has visited the headquarters of U.S. Southern Command. Comfort’s visit, thus, is the proverbial cherry on top of the cake of improving bilateral relations. As a caveat to this analysis, it is necessary to mention China’s hospital ship, Peace Ark. 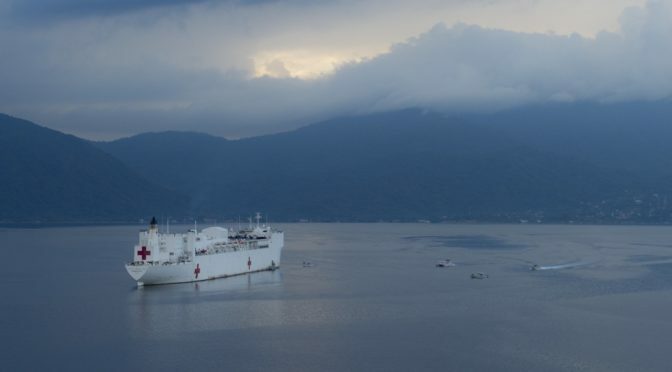 In a previous CIMSEC commentary, “The Significance of U.S. and Chinese Hospital Ship Deployments to Latin America,” the author discussed how both Washington and Beijing utilize their hospital vessels as diplomatic tools in order to improve their image in countries that said ships visit during their humanitarian tours. As it turns out, both ships would be deployed simultaneously to the Western Hemisphere. While Comfort visited the aforementioned nations, Peace Ark visited Antigua and Barbuda, Dominica, the Dominican Republic, Grenada, and Venezuela. 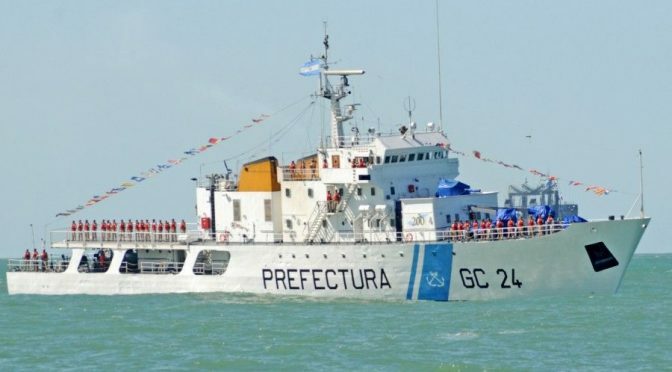 Even more, on 15 November the Ecuadorian Ministry of Defense announced that the vessel had docked in Guayaquil to provide medical assistance to as many as 3,200 patients. 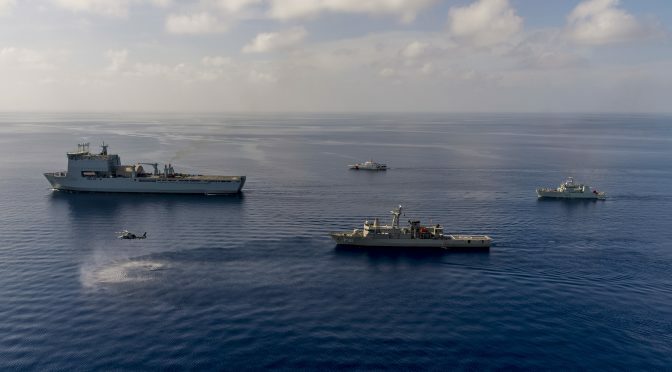 While governments are free to decide which vessels from foreign powers can enter their ports, it is impossible to avoid the irony that the hospital vessels of two nations that continue to be at odds with each other, from trade wars to incidents in Asian waters, are back-to-back welcomed in the territory of third-party states. As a result, Ecuadorians living in the Esmeraldas and Guayaquil regions enjoyed free medical services from two rival powers, while Quito maintains good relations with both nations. Medical diplomacy is an effective way to improve bilateral ties between the U.S. and its Latin American allies. Comfort’s visit to four Latin American nations, Colombia, Ecuador, Honduras, and Peru will improve the U.S. image at the grassroot level, as the citizens of these nations that received free and professional medical service will know that, irrespective of the current rhetoric coming out of Washington, U.S. medical personnel are still there to help those in need. 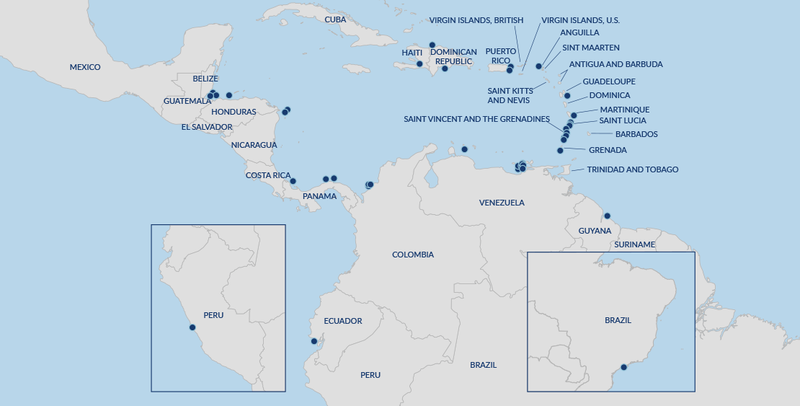 “The security environment in Latin America and the Caribbean is characterized by complex, diverse, and non-traditional challenges to U.S. interests.” –Admiral Kurt W. Tidd, Commander, U.S. Southern Command, before the 114th Congress Senate Armed Services Committee, 10 March 2016. 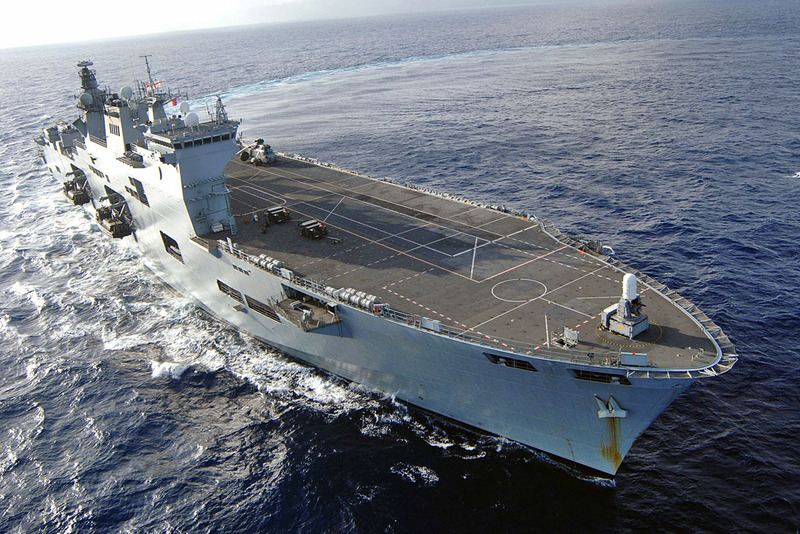 Atlantico was formerly known as HMS Ocean (L 12), an amphibious assault ship that belonged to the British Royal Navy. It was commissioned in 1998 and decommissioned earlier this year. The Brazilian government purchased it for 84 million British pounds. Among its characteristics the vessel displaces 21,000 tons, has a length of 203 meters, a max speed of 21 knots, and a range of up to 8,000 miles. According to the Brazilian Navy, the vessel is equipped with four 30mm DS30M Mk2 guns, two 1007 radars, one 1008 radar, and one Artisan 3D 997 radar. Atlantico transports a crew of 303 with only one female naval officer, Captain Márcia Freitas, chief of the vessel’s medical department. The ship can also transport as many as 800 marines. “It’s a new ship, in good condition. It can be operational for 20 to 30 years,” declared Brazilian Admiral Luiz Roberto Valicente to the Brazilian daily Estadao. Atlantico can transport as many as 18 helicopters, but it is still unclear which type of aircraft the Brazilian Navy will deploy aboard its new vessel. On 5 September, the Brazilian aerospace company Helibras, a division of Airbus, tweeted a photo of H225M helicopters landing on the deck of Atlantico, hinting that these types of aircraft could be deployed on the new carrier. Additionally, the Estadao article declared that the carrier is compatible with all the models of helicopters currently operated by the Brazilian Navy. It is worth noting that this is the third carrier that the Brazilian Navy has operated. 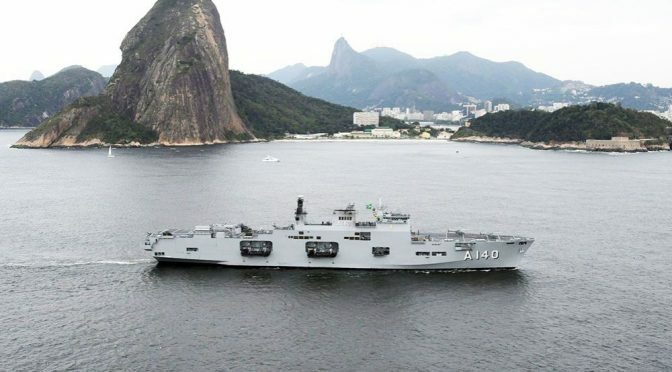 Atlantico replaces the Clemencau-class carrier Sao Paulo (A 12), which was decommissioned in 2017. Previously, Brazil operated a Colossus-class aircraft carrier Minas Gerais (A 11), which was decommissioned in 2001. The statement about “dissuasive capabilities” raises the question of which nation could possibly attack Brazil in the first place. 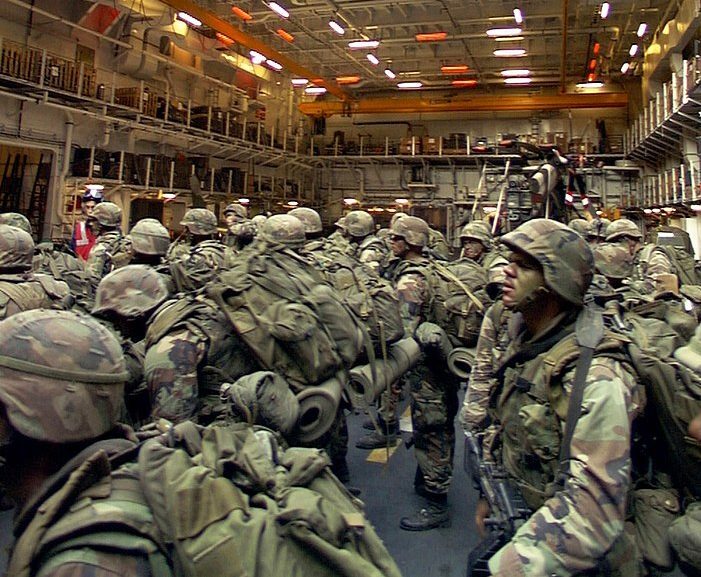 The country last fought an inter-state war when it deployed an expeditionary force to Europe to fight alongside the Allies during World War II. Even more, when it comes to conflicts with neighboring states, the last war that Brazil participated in was the Acre War (1899-1903) with Bolivia.